Land Rover FAQ - Vehicle Identification - Dormobiles - What is a Dormobile? The answer to this question is somewhat controversial depending upon whom you talk to. 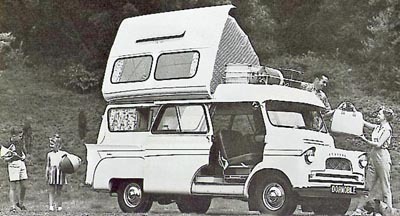 In its simplest terms, a Dormobile is a motor caravan (camper) conversion made from parts manufactured or sold by Martin Walter Ltd. of England. The controversy lies in who installed these parts. 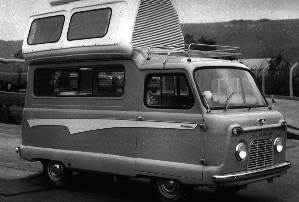 Martin Walter made custom caravan conversions for a variety of mostly British vehicles. These conversions were usually installed to order on new vehicles that were purchased at the same time. Customers could choose conversion components from a list of items or pay to have custom features fabricated. 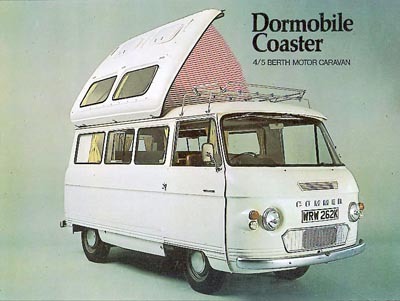 Some Dormobile conversions had as little as a pop up top or seats that fold down into a bed. Most had complete caravan interiors installed. All installations performed by Martin Walter were provided with a riveted on ID tag. Martin Walters also sold conversion kits to other companies who installed them in vehicles. 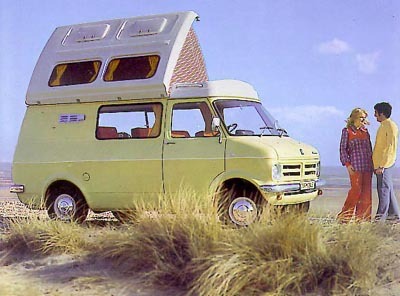 There is at least one company in Southern California that installed Martin Walter pop up roofs onto Dodge window vans and added their own camper interior during the late 1960s and early 1970s. A large group of Dormobile enthusiasts believe that a true Dormobile is one that had its parts installed onto the vehicle at the Martin Walter factory. Another group believes that Dormobile kits either sold by Martin Walter or transferred from a destroyed Martin Walter built Dormobile to a good condition vehicle of the same type are also valid Dormobiles. 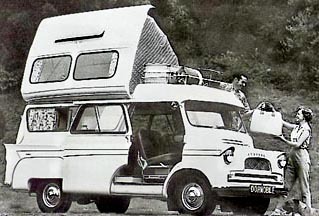 Both groups agree that a Dormobile has specific Dormobile features that were either manufactured by or sold by Martin Walters for their caravan conversions. So the general consensus says old Birmabright is 5000 series. The composition of Birmabright II listed above could be cross-referenced in MIL-HDBK-5 to find the equivalent alloy. Maybe the new panels are now made from 6000 series? Martin-Walter Ltd. was founded in 1773 as harness manufacturers. As the company grew they expanded to the building of carriages and coaches then later into automobile bodies. 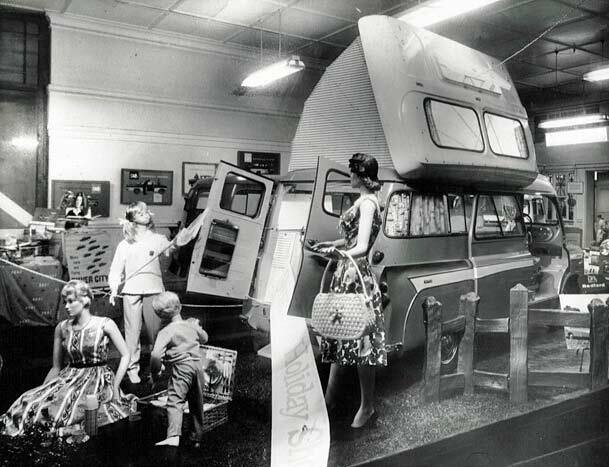 During the early 1950's vehicle camping holidays became very popular in the UK. Martin-Walter changed its focus from coach building to camper (caravan) conversions starting with the 1954 Bedford CA (a small van). 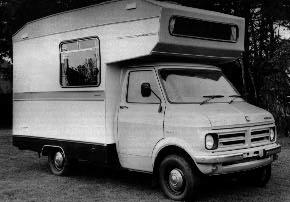 Dormobile conversions became popular and conversions were built into several different marques. The first Land Rover conversion was made sometime between 1958 and 1960. Dormobile conversions were usually made to order from a list of options and sold directly to customer with the vehicle manufacturer's warranty intact. 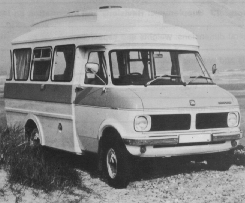 Martin Walters converted a large variety of small vans and station wagons. Though in America, Land Rover and Volkswagen Dormobiles are by far the most common, the majority of Dormobiles are built on Bedford trucks. 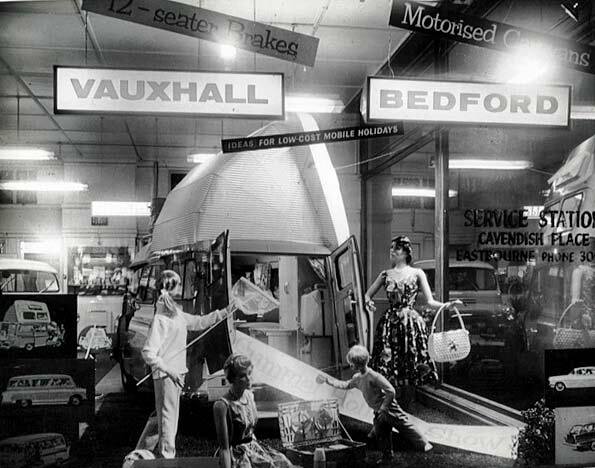 Bedford is the truck division of Vauxhall Motors. 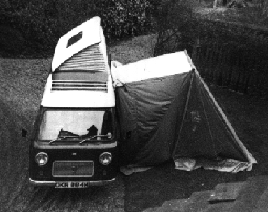 By the late 1960's vehicle camping was decreasing in popularity and the company changed its focus to building Mini & Midi buses with very few Dormobile conversions made after 1970. The company closed its doors in 1994. Alan Horne, secretary of the DOC (Dormobile Owners' Club), provided nearly all the photos I have; Thanks Alan, your contributions are appreciated. I have also used some photos provided by Graham Jones. See the extent of his contribution by navigating back to the main table of contents and click on Dormobile brochures. Thanks Graham. 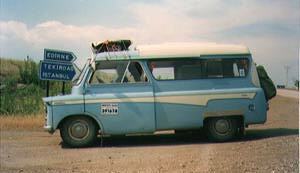 While Dormobiles can be found anyplace in the world, most Dormobiles were sold in the UK and still reside there. Only Land Rover and Volkswagen Dormobiles were sold into North America though a few other marque Dormobiles have been privately imported. 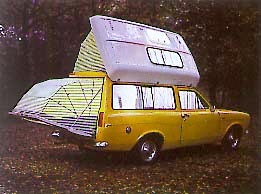 If you would like to see what Dormobiles look like I have a page with Land Rover Dormobile pictures. They weren't all Land-Rover Dormobiles? In fact, due to the inherent thirst for petrol and high initial purchase price, Land-Rover Dormobiles were destined to remain rare. As determined from the membership roster of the Dormobile Owners' Club, the majority of Dormobiles are built on Bedford truck chassis. Bedford, the truck divison of Vauxhall Motors, was used for many different Dormobiles. In addition, Dormobiles were constructed from several other base vehicles. Dormobile Owners Club This is a UK based club welcoming owners of all Martin - Walters factory original Dormobile conversions. Drive around the world Nick and Chandra own two Land Rover Dormobiles that they have taken around the world. Their organization, Drive Around the World, collects funds and provides education to help in the fight against Parkinson's disease. J&S Upholstery is a UK based company that specializes in VW van upholstery. 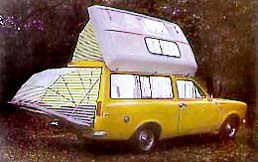 They offer Silent Gliss curtain hangers which were used on all Martin Walters Dormobiles. TeriAnn's Dormobile pages TeriAnn rescued a complete Dormobile kit from a wrecked Land Rover Dormobile and gave it new life on a 1960 Land Rover regular. Her pages contain a lot of Land Rover Dormobile information and pictures. She also has a web page for the Carawagon and one for the Park-Ranger, both Land Rover based caravan conversions. Copyright Dixon Kenner, 1995-2008. Last modified January 21, 2008.